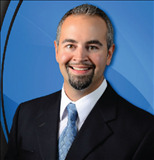 Hello, my name is Ron, and I'm a licensed Florida Realtor® in Sunny Southwest Florida. I'm here to help keep things easy and stress-free. Please bookmark or create an account to this site, and I'll do all I can to provide you with a great online real estate experience. I'm just a click or call away, so please contact me if I can help you in any way.